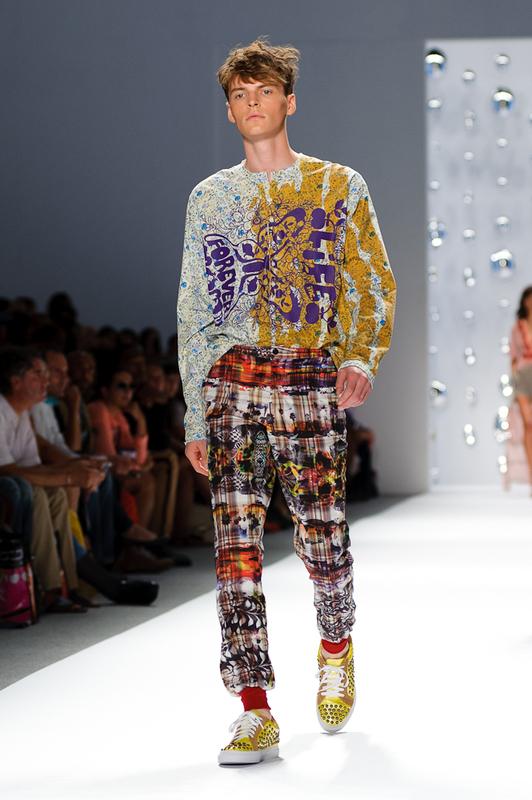 Custo Barcelona extended the theme of psychedelic prints from his women’s collection into his Men’s Spring 2013 Collection. The graphics are inspired by an oceanic landscape (something that seems to be trending on the runway), as well as the stars and their constellations. From sea to sky, Custo Barcelona models transcended the runway in looks that only the daring man would wear all at once. Worn in small pieces, however, Custo Barcelona Spring 2013 will certainly add some fashionable flare to an outfit. Custo Barcelona Men’s Collection Spring 2013 Gallery Below.